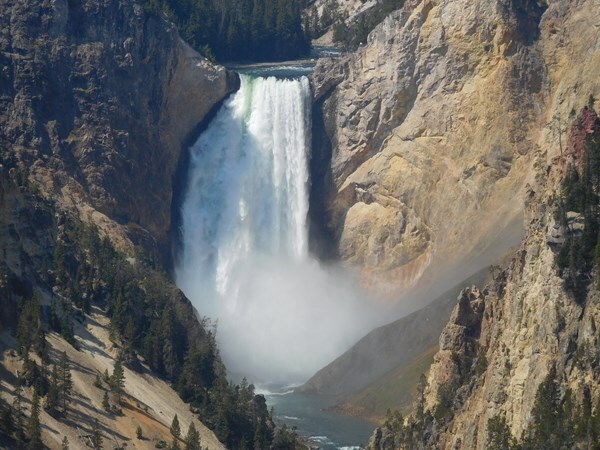 This is the 308' tall Lower Falls at Artist Point in the Grand Canyon of the Yellowstone River. Went to Yellowstone over two days after the Total Eclipse. Part of a 13 day National Parks of the Rockies tour with YMT Vacations. Well done and highly recommended.